California: GET LEGAL. Licensing Details Needed? The Bureau of Medical Cannabis Regulation (BMCR) and Office of Medical Cannabis Safety (OMCS) within the California Department of Public Health will be holding their first pre-regulatory stakeholder meetings this September and October. They will be discussing issues related to general licensing requirements, and specific concepts related to the regulation of medical cannabis dispensaries, distributors, manufacturers, testing laboratories and transporters. Please join the events to share your ideas and specific input. These are pre-regulatory meetings to solicit input from stakeholders on medical cannabis regulations. All members of the public are invited and encouraged to participate. Space is limited at each venue. Please register for one meeting location only to allow space for participants across California to attend meetings near them. All pre-regulatory meetings will follow the same format and discussion topics. 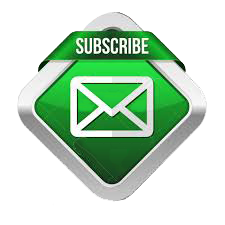 Subscribe to email alerts to hear about updates as they become available. Please make sure to share – industry feedback is needed.